The updated Alpha R2 gets Skylake, an M.2 drive, and desktop-class graphics. 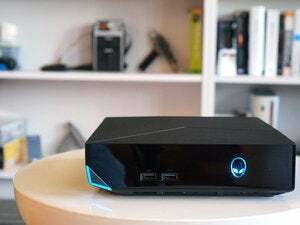 Alienware’s Alpha, the brand's tiniest desktop gaming PC, just got a big boost in power. The Alpha R2 gets dual-core and quad-core Skylake CPUs, DDR4, and, more importantly, a faster desktop-class GPU option. 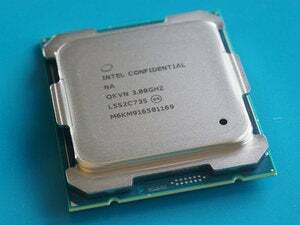 The original Alpha (reviewed here) featured an Nvidia GeForce GTX 860m along with either a dual- or quad-core Haswell CPU. The updated Alpha R2 will have two GPU options: The base version is an AMD Radeon R9 M470X with 2GB of GDDR5. That’s not a new Polaris part, but an older 28nm Bonaire-based GPU. 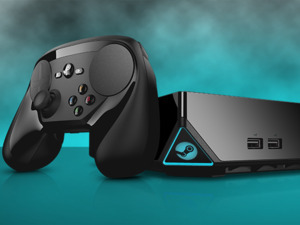 The higher-end Alpha will offer a GeForce GTX 960 GPU with 4GB of GDDR5. 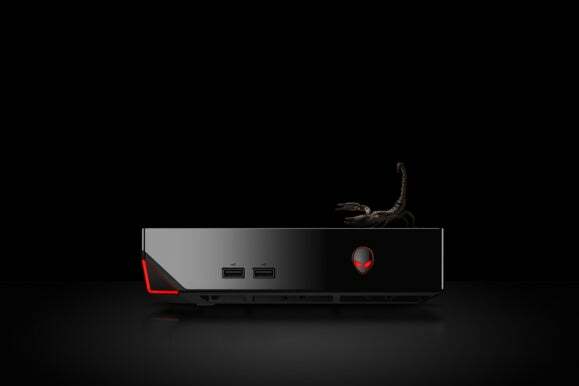 That’s not a GeForce GTX 960m laptop chip, mind you—Alienware says it's a full-on desktop part. That makes the Alpha R2 all the more impressive, as the company has stuffed a GTX 960 into an 8 x 8 x 3-inch box. If that still isn't enough GPU for you, Alienware says it’s added a port to the Alpha R2 that accepts the Alienware Graphics Amplifier. The Amplifier is a $200 cabinet that lets you connect a far more powerful card, such as the GeForce GTX 1080. Curiously, the Alienware Graphics Amplifier continues to use Alienware’s proprietary connector rather than a “universal” Thunderbolt 3 connector for external graphics. Why? Alienware’s general manager Frank Azor said the company believes that connector is the right choice today because, well, it works and it’s affordable. Azor has a point. The Amplifier can be found for $200 and worked with the new GeForce GTX 1080 from day one practically. Razer’s much-hyped Core external-GPU solution, which relies on Thunderbolt 3, still isn’t out half a year after its unveiling at CES and costs $500. Admittedly the Razer Core is built like a tank and has a much smaller footprint, but, heck, for $300, you can get yourself a decent graphics card. The other long-overdue upgrade in the Alpha R2 is optional SSD support. The original Alpha ran a pretty pokey laptop hard drive. Alienware still offers hard drive options but adds an M.2 port so you can get up to a 1TB M.2 SSD. The price of the Alpha R2 with Windows, Core i3, and Radeon graphics is $599. Moving up to the GeForce GTX 960 with a quad-core Skylake elevates the price to $749.